Setting the list price for your home is not easy. You want to get top dollar for your home. You also want to sell quickly. Time and money are at odds in this equation. Like most things in life, there is an easy way to do the job and there is the right way. The right way is harder and takes more time. It also puts more money in your pocket after the sale. Let's spend time learning the best way to set the price for your home. I have analyzed thousands of homes in the last ten years. Setting the right price has been one of the secrets to my success in real estate. Over time, I developed a four part process for setting the best price. Take a look at the system below. The first part is research. Many assume research is looking at the price of comparable homes (comps). If you want to get it right, you have to dig deeper. The first stop is the home for sale. You need to know the home inside and out. Features and benefits are important. You also must understand what is distracting or takes away from the value. Once you understand the home, the next step is to understand the market for this area. How many similar homes are currently on the market? How many similar homes have sold in the last six months? What outside forces are currently affecting the market? These questions need answers before you set the price. Once you understand the market, the next research step is to find similar homes that are for sale and have recently sold. It is best to start with wide search parameters. Casting with a wide net, helps you understand the general market. It is also essential in your analysis. The second part is analysis and adjustments. From the group of homes that you found, you must determine a small handful that are the most similar. You need to look beyond the age and square footage. Pay close attention to the kitchen and master suite. The best agents will drive by or tour the comparable homes. Knowing every difference is critical for setting the right price. Once you understand the differences, you can start to make adjustments. Many people skip this part because they do not understand how to adjust. The most common way to make adjustments is by analyzing paired sales. This is the reason for casting a wide net in our research. If we need to determine the value of an updated kitchen, we would need to find two recent sales in the area. One with an updated kitchen and the other without. If the difference in price is $25,000, this is the adjustment for your updated kitchen. You need to make adjustments for every major difference between your home and your comparable home. Paired sales are not always available. In these instances, you will calculate the modification to your price. Right now, you are wondering how a $30,000 kitchen update affects your bottom line? In this instance, you can refer to the Repair vs Value report. This report shows that a minor kitchen renovation in Nashville returns almost 100% of your investment. Your modification for this home would be between $25,000 and $30,000. Another common calculation is due to a changing market. Let's say that your comparable home sold six months ago and the market is appreciating at a rate of 10% per year. Your modification based on this sale would be a 5% increase in price. After adjustments, you should have your sales price set. If there are few comparable homes, your sales price may also be a range (e.g. $200,000 - $210,000). This is the price that you want to reach after negotiations. Your list price is somewhat higher than your expected sales price. The third part is psychology. The anchoring effect and confirmation bias have the biggest effect on price. The anchoring effect is like first impressions. When you list your home for sale at $100,000, then most people will assume that it must be worth $100,000. Once the anchor is set, most people will not move far from the price. This is the reasoning behind setting the list price just above your ideal sales price. You know the buyer wants to pay less, and they know the seller is not going to move far from the list price. If you set the list price too high, this anchor deters buyers from viewing your home and making an offer. 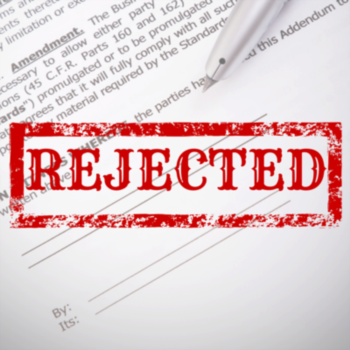 When you receive a "low-ball" offer, most assume that the buyer is insulting the seller. This is not true. Most are attempting to re-set the anchor. This buyer may be willing to pay your price after negotiations. It is best to counter at the list price, to reaffirm your anchor. This will either speed up the negotiation or make the buyer go away. The final part is the plan for your list price. Pricing is not an exact science. Sellers often want to push the envelope. You want to have a plan for your price if the activity is lower than expected or you are not receiving any offers. To avoid emotional impact, prepare a plan based on time and activity. If you have not received an offer after 3 weeks, then reduce the price by $10,000. This will help keep buyers interested in your home and shorten the time to sell. It is our goal to sell every home for top dollar in the shortest amount of time. Most agents will say this is their goal, but few have a plan in place to make it happen. If you want a quick estimate of "What Your Home is Worth", go to NashvilleHomesNow.com. 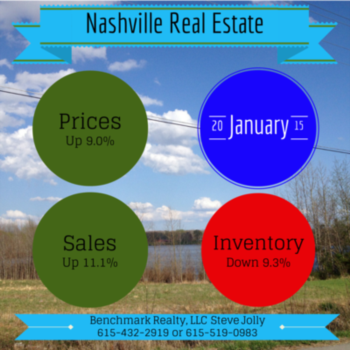 Or call Steve at 615-519-0983 to get the most accurate sales price for your home.